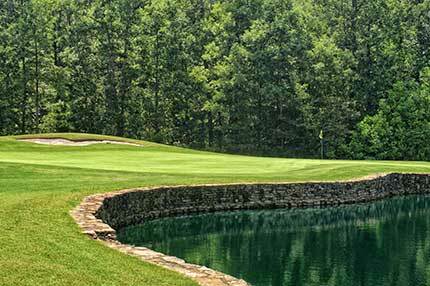 Belmont Lake Golf Club has become known for a great design and even better conditioning. The greens were all converted to G-12 Champion Bermuda grass in 2017. We like to say that the conditions and design are so good, they will improve your score! With the opportunity to create a championship golf course for our community that challenges our players hole after hole and game after game, we turned to David Johnson Golf Design of Atlanta. 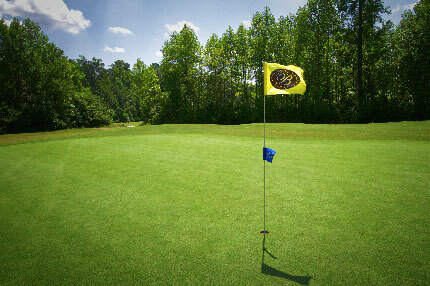 Our North Carolina course is one that every golfer can enjoy regardless of handicap, and it emphasizes strategic play with the demands on players escalating as you move from the front to the back tees. The golf course has five sets of tees on each hole, playing 7,085 yards from the back tees and 4,900 yards from the front tees. There is a balance of dogleg lefts, dogleg rights, straight holes, large greens, small greens, and a wonderful variety of hole lengths. The 18th fairway runs along our beautiful 80-acre Lake, and two man made ponds heighten the challenge. Belmont Lake Golf Club invites you to play our 18 hole championship golf course! 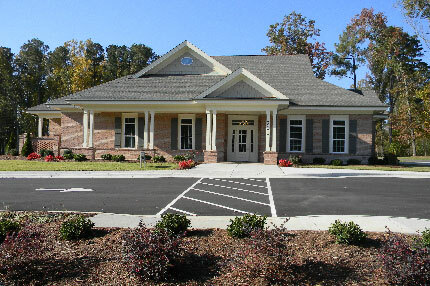 Call (252) 973-0800 for more information!